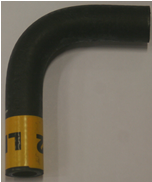 Application: Primarily Series III - but also used on II and IIa with series III hoses and shrouding - due to size and weight extra shipping may have to be added depending on service chosen. Application: Series 2A and Series 3 2.25 litre engines, both petrol and diesel. Description: 'V' belt driving water pump and dynamo or alternator on the above applications. 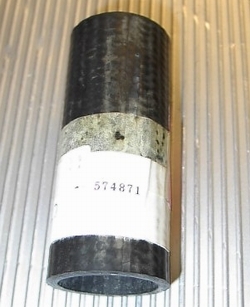 This replacement belt measures 10mm wide by 1050mm long. Application: Series 2A and Series 3 2.25 litre engines, both petrol and diesel. Description: 'V' belt driving water pump and dynamo or alternator on the above applications. 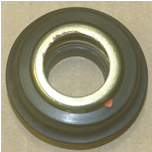 Cogged for extra grip, this replacement belt measures 10mm wide by 1050mm long. Application: Series 4 cylinder petrol (gasolene), left hand drive. Description: Set of 4 hoses and 8 hose clips. 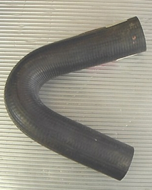 Hose part numbers 2x 577292, 594629 & 594636. Application: Series 3 4 cylinder petrol (gasolene), right hand drive. Description: Set of 3 hoses and 6 hose clips. Hose part numbers 577292, 594629 & 594632. 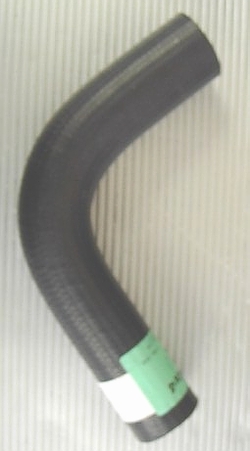 Application: Series Hose Rear 1958 - 1967 - ID 7/16"
Application: series late IIa and III left and right hand drive. 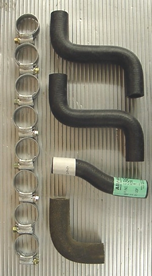 Early bottom hose for vehicles fitted with early radiator with large header tank. Description: Bottom hose between radiator and engine. Approximate dimensions: length around curves11.75 inches. Internal diameter 1-1/16" and 1-5/16"
Application: Series 3 2.25 litre engines, both petrol and diesel. 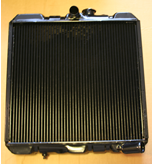 Also applicable to Series 2A four cylinder models which are fitted with the later radiator with narrow header tank. Description: Top hose between radiator and engine. Approximate dimensions: internal diameter 30.5mm (1. 3/16 inches), length around curve 27cm (10.5 inches). Application: Series 2A and Series 3 2.25 litre engines, both petrol and diesel. Description: Replacement hose between water pump and thermostat housing. Approximate dimensions: internal diameter 30.5mm (1.3/16 inches), length 95mm (3.75 inches). Application: Series 3 2.25 litre engines, both petrol and diesel. Also applicable to Series 2A four cylinder models which are fitted with the later radiator with narrow header tank. Description: Replacement bottom hose between radiator and engine. Approximate dimensions: internal diameter 33.5mm (1. 5/16 inches), length around curve 33cm (13 inches). 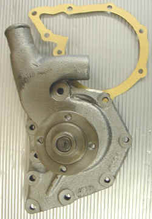 Length: 12 1/2" internal diameter 1 3/8"
Replacement water pump for 2.25 litre petrol and diesel engines. This is the '9 hole' pump for civillian Land Rovers. Military Land Rovers quite often have a '7 hole' pump. The holes refer to the mounting holes for the pump. Supplied with gasket. Application: Series 2A (not Series 2) and Series 3 2.25 litre engines. Approximate dimensions: 27cm x 14cm, height of spindle 10cm.